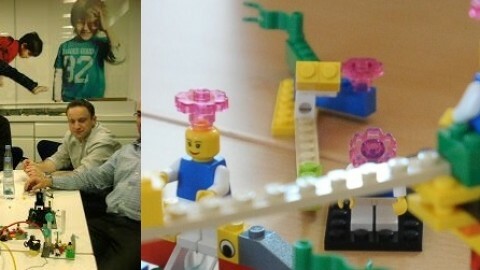 Becky Blunk from the University Campus Suffolk wrote the following fun blog post about Lego Serious Play. Oh, how wrong I have been! 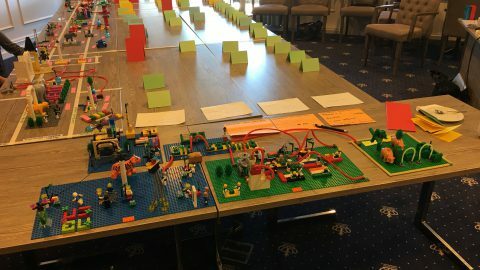 In my previous blogpost I mentioned the i2c2 conference (and have since gone on about to anyone within earshot as though I were selling stock in it), but purposely left out my experience attending the Lego Serious Play (LSP) session so that I could fully reflect on it and, more importantly, try to connect the dots between feeling utterly lacking in confidence (how will I possibly build something that is a metaphor for what I do?) to researching the science behind it in order to develop a paper, asking for funding to incorporate it into our library teaching sessions. Truth be told, and believe me, I’ve told everyone, I wanted nothing to do with LSP and wrote it off as another fad librarians were waxing on about in an attempt to build a case for legitimacy. Unfortunately for me, my preconceptions were no match for the brilliant team (Meg Westbury, Andy Priestner and Matt Borg) facilitating the session at i2c2. Like holding a glass of wine at a party where you hardly know anyone, having something to do with my hands, such as touch, build and modify bricks of Lego within a group setting at i2c2 completely alleviated the pressure I so often feel in presenting myself as a competent, interesting individual with at least some grasp of the English language. My doorbell had been rung. Not only that, I had the feeling that there was more (much more), perhaps even a “science,” if you will, that would be able to explain what happened between my hands and brain that gave me a different way of seeing that which I considered problematic within my profession. Further investigation was going to be necessary. 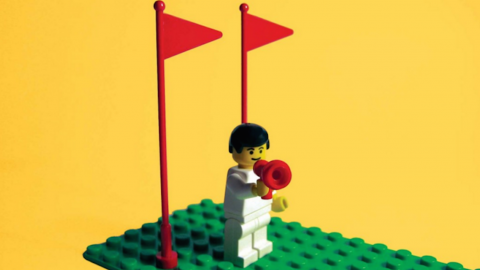 The majority of documentation related to LSP has now been made open source, with both the User Requirements with Lego and The Science of Lego Serious Play, outlining the basic philosophy and design methods for activities, made freely available to the public; however, Dr. Alison James has gone further in the Journal of Learning Development in Higher Education to show how the mechanics of utilising LSP infuses learning theory and reflective practice, focusing on how the marriage of play and creativity allow for students to think differently, regardless of their course area. Although Dr. James explains engagement with LSP within a creative arts context, the article perfectly describes my own experience and offers explanations as to why LSP provides more than merely an opportunity to try something unconventional for the purpose of ticking some boxes related to a university teaching and learning strategy. A big believer in the validity of constructivist educational philosophy, it makes perfect sense to me that, as Dr. James explains, our hands are central to learning and thinking often starts with our hands. 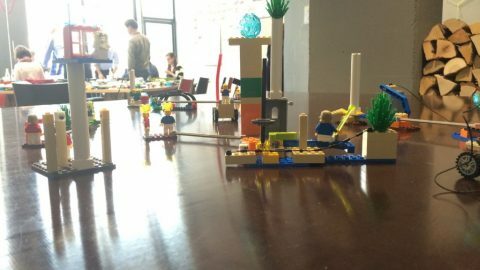 Therefore, using our hands to build with Lego, regardless of the end product, provides a more rich experience that directly connects our sense of touch and cognitive processes that thinking alone simply does not measure up to. Not only does LSP confront the idea that learning activities do not necessarily have to equate to more traditional academic activities, such as writing or data analysis, but that LSP is something anyone can do- even this very “serious” librarian. LSP also reiterates more divergent outcomes for learning- that there is not one single “right” answer- a concept many students struggle with upon entering university. 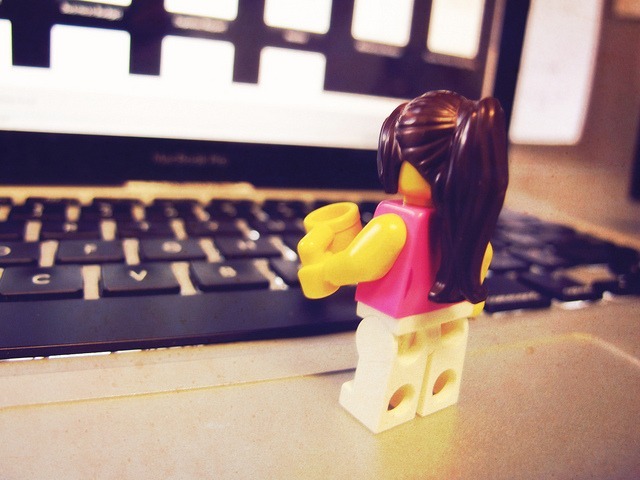 So how will we use LSP to help students within the library setting? My colleague, Sarah Robinson and I are not completely sure- BUT we are beginning to look the types of skills and support our students and academics frequently request sessions for and start from there. We’d like to figure out a way in which LSP could be incorporated to teach referencing and plagiarism, but also, perhaps developing sessions in which students could build models describing challenges they face writing their dissertation, specifically- finding information for literature reviews. It’s all very exciting and I intend to keep everyone informed of our progress as we, well, progress. Once we secure a few funds for training and actual Lego kits (oh yeah, we’ll probably need those), we’ll be set to start building our framework. Who knows, I may even wear my dusty old Chuck Taylors (circa 2003) to our inaugural session!